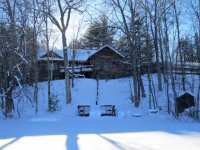 LAKE LORRAINE RETREAT - CONGRATS ON FINDING ONE OF THE JEWELS OF THE NORTHWOODS. THIS PRIVATE BUT VERY ACCESSIBLE REFUGE PROVIDES A MENU OF FEATURES DESIGNED BY THE . . .
CRESCENT LAKE STUNNER!THIS CUSTOM BUILT LUEDKE/YOUNG BEAUTY HAS IT ALL FROM SOARING VAULTED CEILINGS IN THE 2 STORY GREAT ROOM WITH FLOOR TO CEILING STONE FIREPLACE AND . 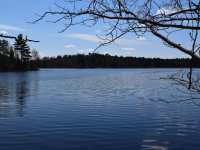 . .
SPIDER LAKE IS 123 ACRES, 29' DEEP AND ONLY HAS 6 DIFFERENT PROPERTY OWNERS! THIS 12.5 ACRE PARCEL . . .
EXECUTIVE HOME & CRESCENT LAKE!!! THIS NEW CONSTRUCTION IS NEARING COMPLETION. THE SELLER HASN'T SPARED ANY EXPENSE WHEN CONSTRUCTING THIS MAGNIFICENT HOME. DARK KNOTTY . . .
WILDLIFE, WATERFRONT AND ACREAGE ABOUND AT THIS 3 BEDROOM, 2.5 BATH VAN STRYDONK-BUILT HOME ON HOOK LAKE ROAD. THE OPEN CONCEPT MAIN LEVEL FEATURES A GREAT ROOM W/ GAS . . . 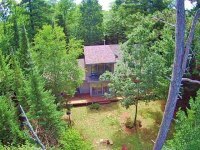 LOCATED JUST OVER 2 MILES FROM RHINELANDER ON LAKE THOMPSON ON 174 FT LOT WITH SOUTHERN EXPOSURE IS . . . RESORT FOR SALE AS EITHER A TURN KEY BUSINESS, A CORPORATE RETREAT OR EVEN A SINGLE FAMILY COMPOUND. 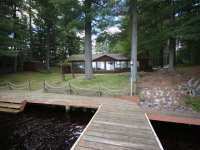 .ENJOY FULL REC LAKE GEORGE SUNSETS, BEAUTIFUL BEACH FACING WEST FOR . . .
YOU'VE FOUND SPORTSMEN'S PARADISE OF YOUR DREAMS. THIS PROPERTY FEATURES A 3BR/3BA HOME SITUATED ON . . . 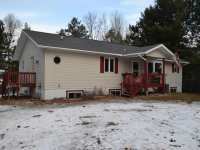 THIS RHINELANDER CHAIN 3 BEDROOM 2 FULL BATH HOME HAS OVER 3000 SQUARE FT. OF LIVING SPACE, 260 FT. . . . IMAGINE OWNING THIS EXQUISITE LUXURIOUS RETREAT, DECORATED WITH 40 ACRES WORTH OF PANORAMIC . 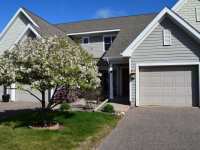 . .
PREMIER PROPERTY ON DESIRABLE, CLEAR WATER, CRESCENT LAKE! 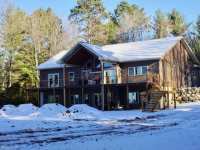 THIS 3 BEDROOM/3 BATH HOME IS PERFECT FOR YEAR ROUND LIVING OR AS YOUR VERY OWN NORTHWOODS VACATION HOME. . . . 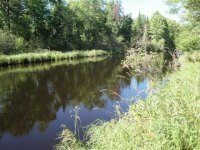 COURTESY LISTING: QUORUM ENTERPRISES, INC.
ON THE RHINELANDER CHAIN AND ONE YEAR NEW! 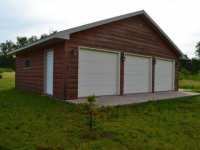 NEWER CUSTOM BUILT HOME LOCATED ON THE RHINELANDER CHAIN JUST MINUTES FROM RHINELANDER. MAIN FLOOR FEATURES 3 BEDROOMS, 2.5 . . . 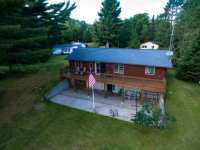 ENJOY LAKE LIFE LIVING ON 616 ACRE CRYSTAL CLEAR CRESCENT LAKE IN RHINELANDER! 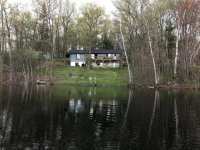 THIS 3 BEDROOM, 3 . . .
A RARE FIND ON CRESCENT LAKE, THIS SUNNY GEM OF A HOME OFFERS 100' OF FRONTAGE ON A WOODED L+ ACRE . . . LOCATED ON MIRROR LAKE W/200 FEET OF WESTERN EXPOSURE & SAND FRONTAGE, THIS QUALITY BUILT HOME . . . 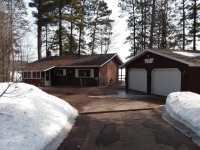 SQUASH LAKE HOME WITH GORGEOUS SAND FRONTAGE!! THIS 4+ BD, 3 BA HOME HAS MORE ROOM THAN ONE KNOWS . . .
BOOM LAKE BEAUTY! 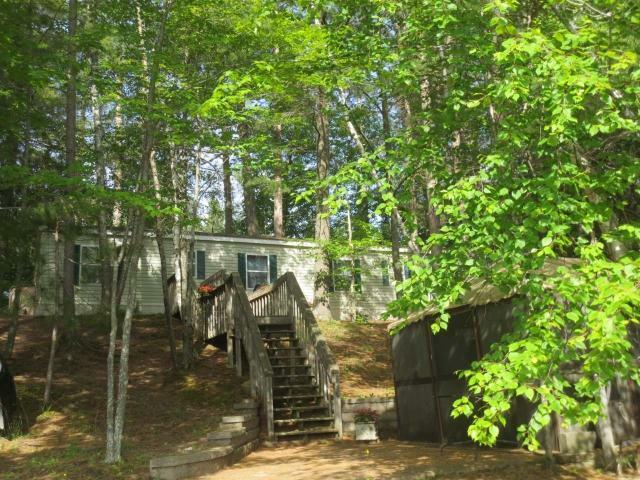 SET ALONG THE SOUTHWESTERN SHORE OF BOOM LAKE, THIS 3 BEDROOM, 2 BATH HOME ON NATURE ROAD OFFERS AN ENTIRELY MAIN LEVEL FLOOR PLAN ON A LEVEL LAKEFRONT . 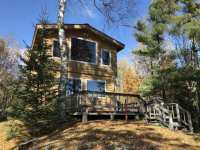 . .
SHH DON'T TELL THE RELATIVES, THAT YOU PURCHASED THIS 2 BEDROOM 2 BATH HOME ON THE RHINELANDER FLOWAGE! 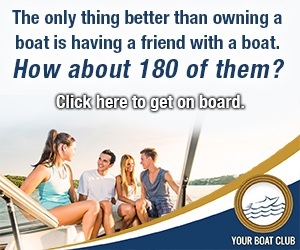 THEY WILL BE AT YOUR DOOR WANTING TO TAKE ADVANTAGE OF 133' OF . . . VIEW-T-FUL!! WALLS OF WINDOWS LINE THE HOME ON THE LAKESIDE FRAMING THE GORGEOUS VIEWS OF BOOM . . .
QUALITY, CLASS AND COMFORT ARE WHAT YOU WILL FIND THROUGHOUT THIS ELEGANT 3BR, 3BA CONDOMINIUM IN RHINELANDER'S LAKE PARK PRESERVE COMMUNITY. THE MAIN LEVEL FEATURES THE . . . 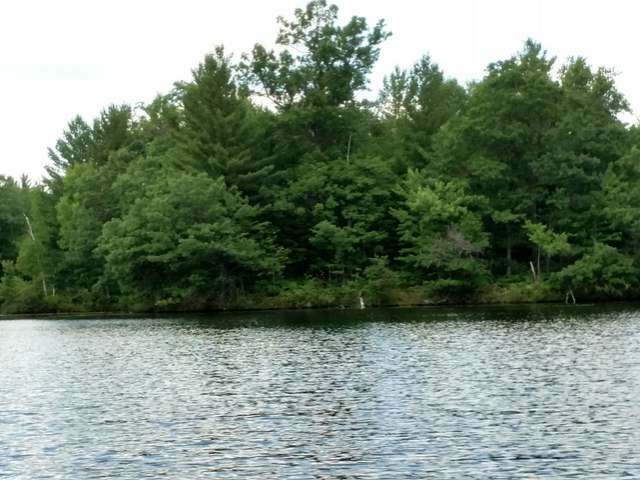 THIS RARE WATERFRONT ACREAGE PARCEL OFFERS 37+/- ACRES OF MIXED, MATURE TREE COVER & 980+/- FT OF FRONTAGE ON SLOW, NO-WAKE SOO LAKE, THIS PRIVACY PARCEL IS THE PERFECT . . . THE 2 BEDROOM 2 FULL BATH CRESCENT LAKE HOME INCLUDES A BOAT HOUSE, 1 CAR ATTACHED GARAGE, & . . .
JUST IN TIME FOR SUMMER! HERE IS AN OPPORTUNITY TO OWN A WELL MAINTAINED AND MOVE-IN READY HOME ON CRESCENT LAKE. THE OPEN CONCEPT MAIN LEVEL PROVIDES CATHEDRAL CEILINGS . . . 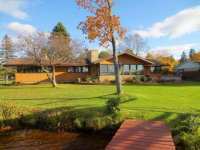 THIS QUALITY BUILT LAKE HOME HAS 160 FT OF SAND FRONTAGE WITH SOUTHERN EXPOSURE & A 48 FOOT . . . 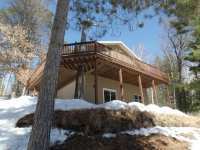 THIS BEAUTIFUL, CONTEMPORARY CHALET IS SITUATED ON SOUTH PINE LAKE AND FEATURES AN OPEN LIVING AND . . .
LOVE STONE AND WOOD FINISHES? THIS STAG LAKE BEAUTY WAS REMODELED AND EXPANDED TO BE THE ULTIMATE GETAWAY. LUXURIATE IN A MASTER SUITE WITH BEAUTIFUL STONE SINKS, CUSTOM . . . 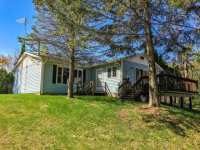 THIS SOLIDLY BUILT HOME IS SITUATED NICELY ON A 2.6 ACRE LOT WITH 100 FEET OF FRONTAGE ON CRESCENT . . . 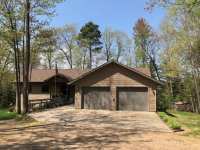 HERE IS A FANTASTIC OPPORTUNITY TO OWN AN OUTSTANDING PROPERTY ON A EXCEPTIONAL LAKE!!! 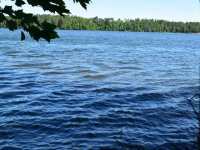 CLEAR WATER 392 ACRES SQUASH LAKE IS APPX. 74' DEEP AND IS A FULL RECREATIONAL . . . 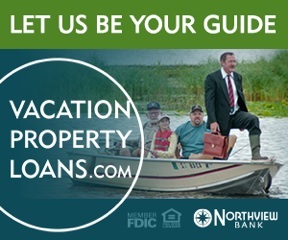 KICK YOUR FEET BACK & ENJOY THE NORTHWOODS LAKE LIVING LIFESTYLE! GREAT VIEWS OF FORTH LAKE WHICH . 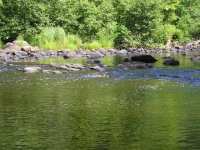 . .
A WILDLIFE PARADISE ON HAT RAPIDS FLOWAGE! 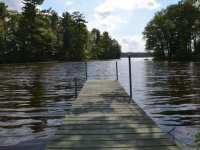 SET ON 2 1/2 ACRES IN THE HAT RAPIDS FLOWAGE WILDERNESS, THIS GORGEOUS PROPERTY IS SECLUDED ON ITS OWN COVE WITH A WEST VIEW . . . 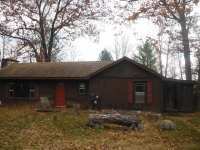 THIS 2 BEDROOM 2 FULL BATH LAKE HOME FEATURES 17.95 ACRES OF ROLLING & LEVEL WOODED LAND, 697 FEET . 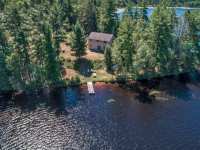 . .
JENNIE WEBBER LAKE HOME-ENJOY THE PEACE AND TRANQUILITY OF LAKE FRONT LIVING IN THIS 1516 SQUARE FT, 3 BEDROOM 2 BATH HOME WITH 100' OF SAND FRONTAGE ON 237 ACRE JENNIE . 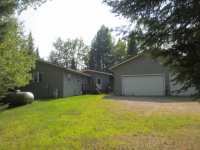 . .
GREAT COUNTRY HOME WITH FRONTAGE ON SAMWAY LAKE! HOME WAS BUILT IN 1999 AND FEATURES AN OPEN CONCEPT FLOOR PLAN, 3 BEDROOMS AND 3 BATHROOMS. MAIN FLOOR SUN ROOM WITH . 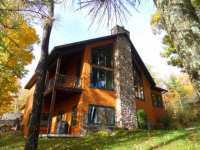 . .
LARGE FAMILY HOME ONLY 6 MINUTES FROM RHINELANDER ON CRYSTAL CLEAR SNOWDEN LAKE. THE HOME FEATURES OPEN CONCEPT LIVING WITH A PRIVATE MASTER SUITE AND 2 ADDITIONAL . . .
WOODS & WATER! THIS SQUASH LAKE NORTHWOODS GETAWAY IS TRULY A DIAMOND IN THE ROUGH. 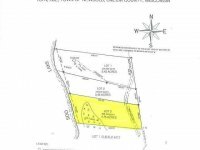 OFFERING 220 FEET OF LEVEL SAND BOTTOM FRONTAGE ON CRYSTAL CLEAR 396 ACRE SOUGHT . . .
LOOK WHAT WE HAVE HERE!! WHEN YOU BUY A LAKE HOME ITS ALL ABOUT THE LOT, THE VIEW AND THE LAKE. 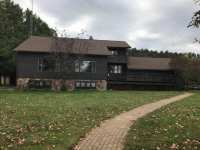 THIS PROPERTY OFFERS SUNRISE VIEWS OVER MOEN LAKE, SAND FRONTAGE, A . . .
A WONDERFUL OPPORTUNITY TO OWN A NEWER AND THOUGHTFULLY DESIGNED HOME ON A LEVEL 1.52 ACRE LOT WITH 160' OF SOUTH FACING FRONTAGE ON THE PELICAN RIVER. THE OPEN CONCEPT . . . 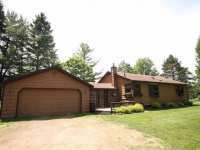 THIS 3 BEDROOM, 1 1/2 BATH RANCH STYLE HOME IS LOCATED ON THE BACK BAY OF BASS LAKE, WHICH IS PART OF THE RHINELANDER CHAIN OF LAKES. THE 100 FEET OF LEVEL FRONTAGE . . .
LAKE MILDRED HOME. LOCATED ON THE SOUTH SHORE OF LAKE MILDRED, AT THE END OF THE ROAD, THIS 3 BEDROOM, 2 BATH HOME OFFERS A BEAUTIFUL VIEW OF THE LAKE. ON THE MAIN LEVEL . 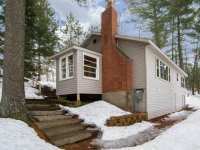 . .
VELVET LAKE RETREAT - WHAT DO YOU THINK OF WHEN YOU PICTURE THE QUINTESSENTIAL "UP NORTH" COTTAGE? PICTURE THIS -- A CALM SERENE LAKE, CLEAR AND TEEMING WITH FISH. SOUTH . 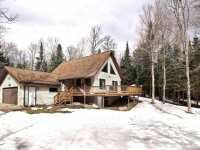 . .
BEAUTIFUL, PRIVATE DAVIS LAKE PROPERTY IN THE HEART OF THE NORTHWOODS! 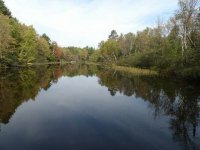 GREAT HUNTING, FISHING AND RECREATIONAL OPPORTUNITIES IN THE AREA. APPROX. 3 MILES FROM . . .
LIFE AT THE TOP! LOOK DOWN AT BEAUTIFUL BOOM LAKE SPREAD AT YOUR FEET FROM THIS SECOND FLOOR WINDOW WRAPPED, CATHEDRAL CEILINGS, MAINTENANCE-FREE TOWNHOUSE. FEATURING . . . 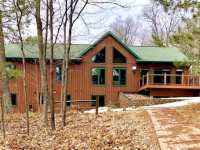 THIS THREE-BEDROOM, THREE-BATH HOME IS ON 1.88 ACRES ON BIRCHROCK LAKE WITH TWO OTHER HOMES. THE . . . 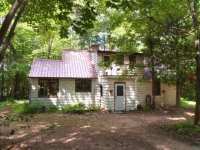 THIS 2 BEDROOM 1 BATH COUNTY HOME FEATURES 14 ACRES OF WOODED PRIVACY WITH GUDEGAST CREEK IN YOUR . 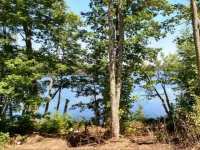 . .
GREAT LAKE THOMPSON LOT WITH ROLLING HILLS AND LARGE OAKS, THE PROPERTY HAS TWO LOTS (LOT 19 & 20) . 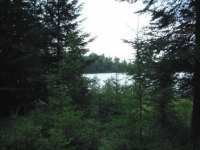 . .
11 ACRES OF LAND AND 369 FT OF FRONTAGE ON 259 ACRE HANCOCK LAKE WHICH IS LOCATED WEST OF RHINELANDER AND CONVENIENT TO TOMAHAWK AND MINOCQUA.THE LOT HAS A PARTIALLY . . . 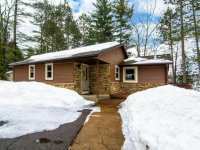 THIS COZY, NORTHWOODS HOME IS SMALL BUT MIGHTY WITH SPECTACULAR FEATURES! A NEWLY REFURBISHED . 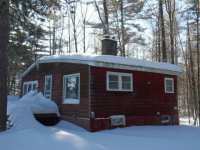 . .
A TRUE NORTHWOODS GETAWAY IS WHAT YOU WILL FIND IN THIS 2 BEDROOM, 2 BATH CABIN TUCKED IN THE WOODS ON CURRIE LAKE! 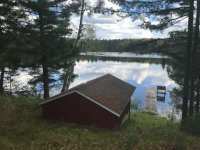 THE MAIN LEVEL OF THE CABIN FEATURES A LAKE-FACING . . . LOOKING FOR A WATERFRONT COUNTRY HOME? LOOK NO MORE! 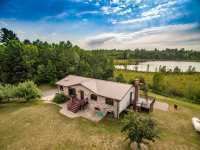 THIS 4 BEDROOM 2 BATHROOM HOME SITS ON 27 ACRE PRUNE LAKE WHICH IS PERFECT FOR SWIMMING, FISHING, OR JUST FLOATING . 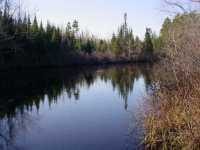 . .
WILDERNESS SANCTUARY - WATERFRONT ACREAGE PARCEL ON THE FAMOUS RHINELANDER FLOWAGE...PANORAMIC WATER VIEWS ARE YOURS WHEN YOU OWN THIS 12 ACRE PARCEL LOCATED ABOUT FOUR . 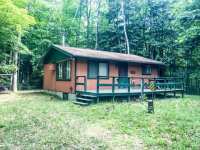 . .
A TRUE "CABIN'S" CABIN IS WHAT YOU WILL FIND IN THIS YEAR-ROUND 3 BEDROOM, 1 BATH HOME ON THE WISCONSIN RIVER SEGMENT OF THE RHINELANDER CHAIN! THE COZY INTERIOR OFFERS . . . 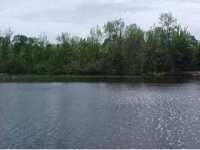 WATERFRONT LOT ON BOOM LAKE WITH AN ISLAND INCLUDED. 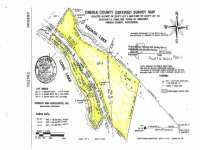 LOT IS .68A AND THE ISLAND IS 2 ACRES. IT IS ZONED RESIDENTIAL AND SUBJECT TO SHORELAND ZONING. FRONTAGE IS ISLAND . . . ACREAGE AND WATER! 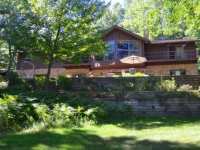 ENJOY PRIVACY ON MANSON LAKE. THIS PROPERTY COULD BE SPLIT AND DEVELOPED OR YOU CAN KEEP IT ALL TO YOURSELF. FOR SOMEONE THAT HAS VISION THIS IS A . . .
A HIGH TRAFFIC AREA AND GREAT VISIBILITY ARE TWO OF THE BIGGEST REASONS TO TAKE A LOOK AT THIS COMMERCIAL PROPERTY FOR DEVELOPMENT. LOCATED AT THE CORNER OF HIGHWAY 17 . . . 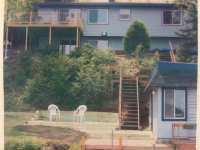 HERE IS A WATERFRONT PROPERTY PROVIDING MULTIPLE OPTIONS FOR DEVELOPMENT. 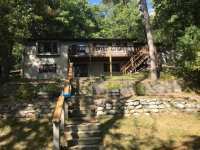 THIS 3.52 ACRE LAKE GEORGE PROPERTY OFFERS 145 FEET OF WEST FACING FRONTAGE, A 3 BEDROOM, 2 . . .
INCOME AND ENJOYMENT...YOU CAN HAVE BOTH AT THIS 4 BEDROOM, 2 BATH CONDO ON LOVELY LAKE THOMPSON! THE INTERIOR FEATURES TWO BEDROOMS AND A FULL BATH ON EACH END OF THE . 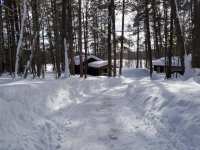 . .
LEVEL, WOODED LOT ON ECHO LAKE, PART OF SUGAR CAMP CHAIN. 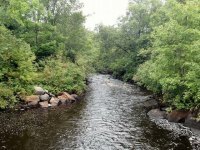 PROPERTY IS LOCATED BETWEEN RHINELANDER AND EAGLE RIVER. 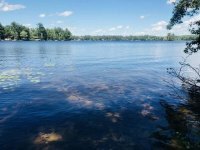 THE LOT IS LEVEL, HEAVILY WOODED, WITH SAND FRONTAGE. . . .
CLEAN & WELL-MAINTAINED LAKESIDE 2+ BEDROOM, 1 BATH WATERFRONT HOME WITH CITY SEWER & WATER ON THE NORTH SIDE OF RHINELANDER. THE HOME HAS SEEN SEVERAL UPGRADES . . .
LAKEFRONT AGREAGE THAT CAN BE DIVIDED. 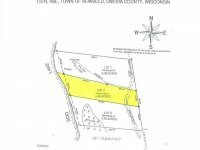 LARGE PARCEL WITH 430 FEET OF FRONTAGE AND 4.9 ACRES ON HANCOCK LAKE, A QUIET FULL REC LAKE LOCATED WEST OF RHINELANDER AND . . . 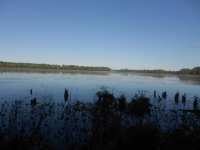 VACANT BOOM LAKE LOT WITH 218 FT OF SAND WATER FRONTAGE READY FOR YOU TO BUILD YOUR NEW HOME. THIS . . .
HANCOCK LAKE FISH CAMP- MOVE-IN CONDITION COZY AND CUTE COTTAGE ON HANCOCK LAKE, WHERE FISH REIGN SUPREME. THIS PRIVATE GETAWAY FEATURES 2 BEDROOMS, 1 BATH, GREAT ROOM . . .
DO YOU HAVE A VISION? 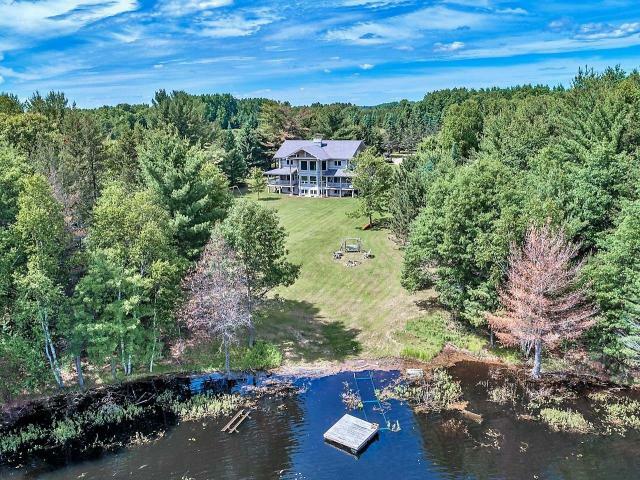 IS IT A VISION OF YOUR CUSTOM-BUILT DREAM HOME ON LAKE THOMPSON IN THE MIDDLE OF A LARGE WATERFRONT PARCEL? CAN YOU IMAGINE BUILDING A LOVELY . . . 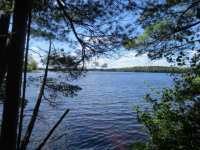 THIS 14+ACRE PARCEL IS LOCATED ON SQUASH LAKE, ONE OF THIS AREA'S PREMIER LAKES AND ALSO ON LONG LAKE, A BEAUTIFUL, DEEP & CLEAR WATER LAKE. THESE LARGER PARCELS LOCATED . 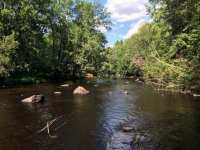 . .
LOTS 3 & 4 - THESE 2 LOTS TOTAL 1.50 ACRES AND ARE THE MORE YOU'VE BEEN LOOKING FOR! BUILD YOUR DREAM HOME AMONG BIG, MATURE PINE, ASPEN AND BIRCH TREES WITH PLENTY OF . 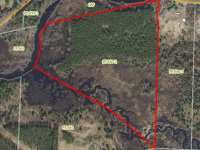 . .
LOTS 1 & 2 - THESE 2 LOTS TOTAL 1.40 ACRES AND ARE THE MORE YOU'VE BEEN LOOKING FOR! BUILD YOUR DREAM HOME AMONG BIG, MATURE PINE, ASPEN AND BIRCH TREES WITH PLENTY OF . . . 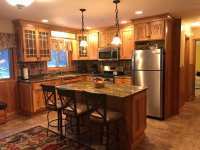 IF YOU ARE LOOKING TO FIND AN ESCAPE FROM YOUR CRAZY SCHEDULE AND WANT TO JUST RELAX AND ENJOY THE PEACE AND QUIET, THIS PROPERTY OFFERS THAT. TUCKED AT THE END OF FISH . 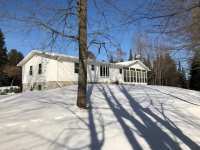 . .
LEVEL FRONTAGE ON BEAUTIFUL SQUASH LAKE PLUS ACREAGE - AN ALMOST UNHEARD OF OPPORTUNITY! THIS 6.12 . . .
INDIAN LAKE -FULL REC-FULL TIME. 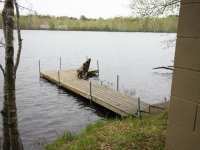 GREAT FISHING, YEAR ROUND, GREAT WATER SKIING AND GREAT NORTHWOODS FEEL AND YOU'LL KNOW WHAT I MEAN ABOUT NORTHOODS FEEL THE SECOND YOU . 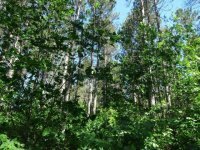 . .
1.11 WOODED ACRES WITH 129' FRONTAGE ON THE WISCONSIN RIVER/RHINELANDER FLOWAGE JUST MINUTES FROM RHINELANDER. BEAUTIFUL SUNSET VIEWS OVER BIG WATER. LOCATED IN A QUIET . 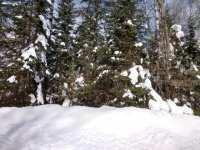 . .
COMMERCIAL LOT LOCATED IN A HIGH TRAFFIC AREA ON THE WEST END OF RHINELANDER. 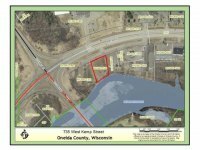 THE LOT IS APPROXIMATELY A .85 ACRES WITH 157' OF FRONTAGE ON THE WISCONSIN RIVER. THE LOT . . . 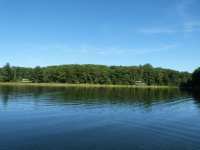 WOODED PARCEL LOCATED ON PRISTINE SOO LAKE OFFERING +/-572 FT OF SAND & GRAVEL FRONTAGE AND APPROXIMATELY 10.428A OF HIGHLAND & PRIVACY. THE LOT PROVIDES A GENTLE . 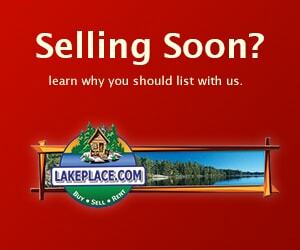 . .
YOU'VE BEEN SEARCHING FOR THAT PERFECT LAKE HOME AND AREN'T FINDING IT? 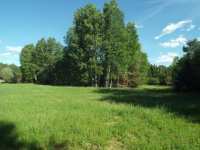 WELL, HERE IS YOUR OPPORTUNITY TO BUY THE PERFECT LOT TO BUILD THE HOME YOU WANT. LOCATED WITHIN . . . LOOKING FOR LAKEFRONT...? 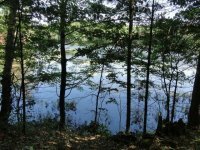 THIS .77 ACRE LOT WITH BOATHOUSE ON NATURE ROAD IS YOUR NATURAL CHOICE! SET TO SOUTHERN EXPOSURE NEAR ESTABROOK ISLAND, AND FEATURING MIXED . . . 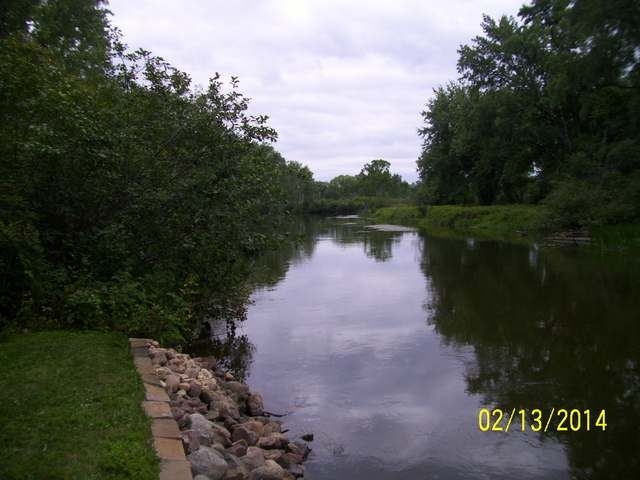 THIS WATER FRONT PROPERTY HAS 3.6 ACRES OF LEVEL LAND, 225 FEET OF FRONTAGE ON THE WISCONSIN RIVER . . . 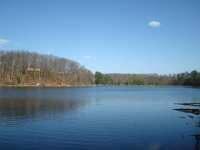 SAND FRONTAGE, SOUTHERN EXPOSURE, LARGE WELL-WOODED LOT ALL SET ON BEAUTIFUL SNOWDEN LAKE. 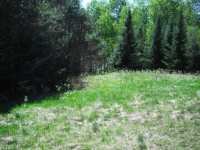 LOCATED CONVENIENTLY CLOSE TO RHINELANDER; THIS 2.23 ACRE LOT WOULD BE A GREAT . . . TALL TREES CREATE A SCREEN OF PRIVACY AND SOFT CASCADES OF LIGHT AND SHADE ADD A TIMELESSNESS WHERE TODAY, TOMORROW OR NEXT WEEK NEED NOT MEAN URGENCY. A PERFECT SETTING . 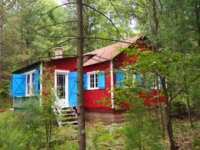 . .
MIRROR, MIRROR...ON MIRROR LAKE IS WHERE YOU WILL WANT TO BE IN THIS CUTE AND COZY 1+ BEDROOM, 1 BATH COTTAGE! THE INTERIOR PROVIDES PLENTY OF ROOM FOR THE ENTIRE FAMILY . . . 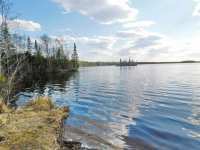 WOODED PARCEL LOCATED ON PRISTINE SOO LAKE OFFERING 250 FT OF SAND FRONTAGE AND APPROXIMATELY 3.46 ACRES OF HIGHLAND & PRIVACY. THE PARCEL IS WELL WOODED WITH A MIX OF . . . 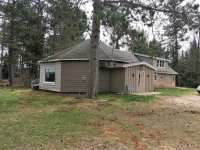 LOCATED ON RHINELANDER FLOWAGE THIS 2500 SQ. 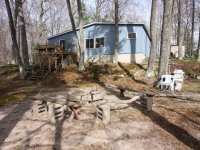 FT. 3 BEDROOM, 1 BATH WITH 2 HALF BATHS LAKE HOME SITS . . .
SILVERBASS LAKE CABIN. 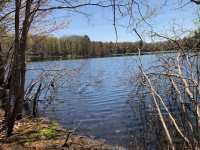 HERE'S AN OPPORTUNITY TO OWN AN AFFORDABLE LAKEFRONT PROPERTY WITH A PERFECT . . . THIS WESTERN EXPOSED LOT ON LAKE GEORGE IS LEVEL WITH WEEDS AT THE SHORE LINE AND SAND AT THE END . 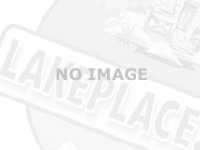 . .
RHINELANDER CHAIN LOT! 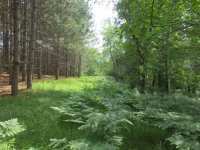 BUILD YOUR DREAM HOME ON THE RHINELANDER CHAIN WHERE YOU CAN ENJOY MANY . . .
HAVE YOU EVER BEEN ENTHRALLED BY THE HAUNTING CALL OF A LOON OVER THE WATER? IT'S THE SOUND THAT MAKES YOU HAPPY THERE'S STILL A WILDERNESS. THIS 3.28 ACRE PARCEL HAS . . . 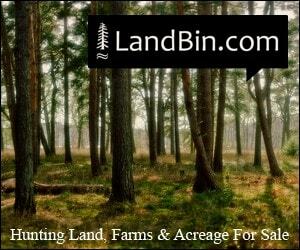 LOOKING FOR JUST THE RIGHT SPOT TO BUILD YOUR DREAM HOME OR HUNTING CABIN? LOOK NO MORE! 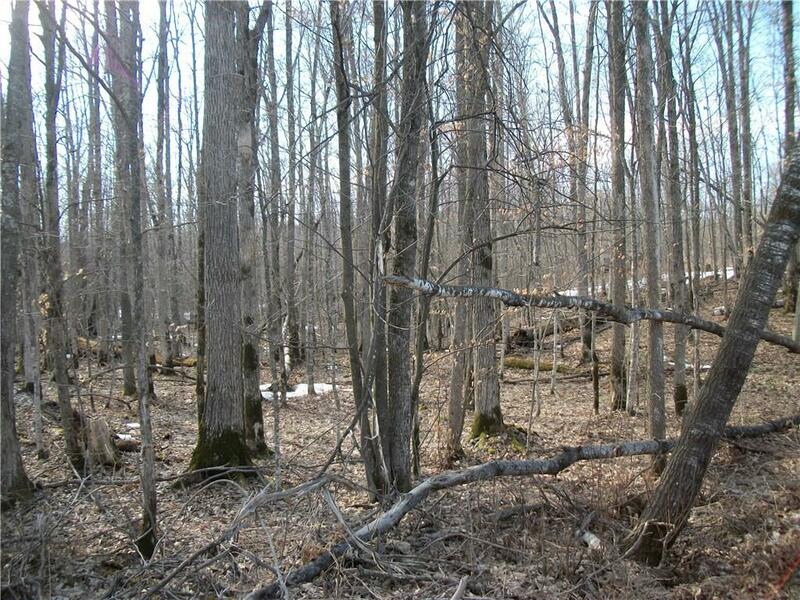 THIS 35+/- ACRE TREASURE IS LOCATED IN THE TOWN OF WOODBORO, JUST OUTSIDE OF . . . LOOKING FOR A NORTHWOODS CABIN IN THE WOODS. THIS IS A GREAT LITTLE GET-A-WAY FOR AN AFFORDABLE . . . 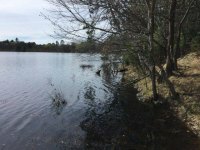 IF YOUR LOOKING FOR A PEACEFUL LAKE WITH CLEAR WATER AND A GREAT LOACTION, YOU'LL WANT TO SEE THIS PROPERTY. 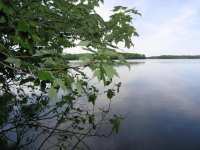 THIS PICTURESQUE LAKEFRONT LOT IS APPROXIMATELY 1.25 ACRES, . . . ENJOY NATURE AT ITS FINEST. 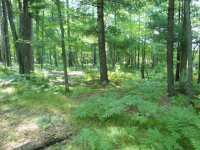 THIS .68 ACRE PARCEL HAS A 100 FEET OF FRONTAGE ON THE RHINELANDER FLOWAGE. THIS LOT IS FILLED WITH VIRGIN, UNTOUCHED TIMBERS. FISHING, . 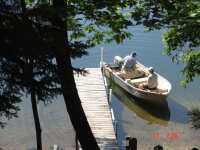 . .
NICELY WOODED PARCEL LOCATED ON SOO LAKE OFFERING 343 FT OF SANDY SHORELINE WITH SOME AREAS OF WEED COVER. THERE IS A VEGETATED LAKE BED SWALE TO THE LAKESIDE PORTION OF . . . CONVENIENT, AT THE END OF A PRIVATE ROAD, AND PROTECTED BY CONDOMINIUM COVENANTS...WHATS MORE IS THERE TO ASK FOR. THIS CONDO PROPERTY OFFERS 300 PLUS FEET OF WATER . . . LOT #2 - THIS .70 ACRE LOT IS THE MORE YOU'VE BEEN LOOKING FOR! BUILD YOUR DREAM HOME AMONG BIG, MATURE PINE, ASPEN AND BIRCH TREES WITH PLENTY OF GROWING OAK . . . LOT #3 - THIS .70 ACRE LOT IS THE MORE YOU'VE BEEN LOOKING FOR! BUILD YOUR DREAM HOME AMONG BIG, MATURE PINE, ASPEN AND BIRCH TREES WITH PLENTY OF GROWING OAK . 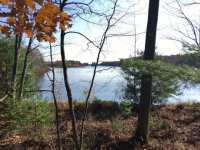 . .
SILVERBASS LAKE BUILDING LOT! 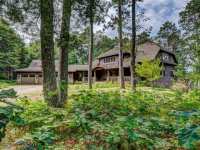 BEAUTIFULLY WOODED 2.22 ACRES OFFERS PRIVACY WITH 236+ FEET OF . 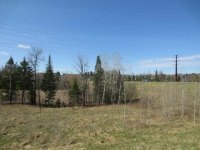 . .
BEAUTIFUL SUNSET VIEWS ARE WHAT YOU WILL FIND ON THIS WESTERN-FACING, BUILDABLE LOT ON CURRIE LAKE. ALREADY FEATURING A 2-CAR, DRIVE-THRU GARAGE FOR TOYS AND STORAGE, . . . 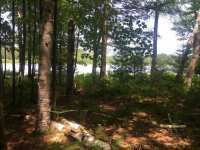 CHECK OUT THIS LEVEL WATERFRONT LOT JUST MINUTES FROM RHINELANDER WITH GORGEOUS VIEWS OF BASS LAKE. A BUILDING SITE HAS BEEN CLEARED BUT PLENTY OF BEAUTIFUL TOWERING . 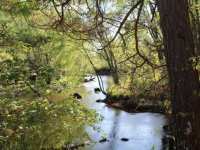 . .
WOODS, WATER AND WILDLIFE!! 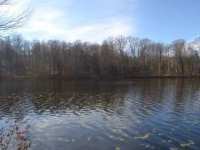 THAT IS WHAT THIS 10 ACRE PARCEL ON FETKE LAKE OFFERS ALONG WITH PRIVACY AND EASY ACCESS. 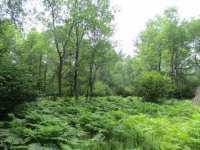 THE LAND IS HEAVILY WOODED WITH A ROLLING TERRAIN, . . . ENJOY THE SHORES OF LAKE THOMPSON AND WHEN YOU AREN'T ENJOYING IT...EARN!! THIS 1 BEDROOM, 1 BATH SPACIOUS ATTACHED CONDO UNIT FEATURES SPECTACULAR VIEWS OF LAKE . . . LOT #1 - THIS .70 ACRE LOT IS THE MORE YOU'VE BEEN LOOKING FOR! BUILD YOUR DREAM HOME AMONG BIG, MATURE PINE, ASPEN AND BIRCH TREES WITH PLENTY OF GROWING OAK . . . LOT # 4 - THIS .80 ACRE LOT IS THE MORE YOU'VE BEEN LOOKING FOR! BUILD YOUR DREAM HOME AMONG BIG, MATURE PINE, ASPEN AND BIRCH TREES WITH PLENTY OF GROWING OAK . . . PRICED BELOW FAIR MARKET VALUE. 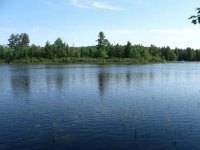 AFFORDABLE LAKE LOT ON HANCOCK LAKE, A 259 ACRE LAKE LOCATED CENTRALLY BETWEEN RHINELANDER, TOMAHAWK AND MINOCQUA. THIS 2.9 ACRE LOT HAS . . . THIS IS NOT YOUR TYPICAL RIVER LOT. JUST LOOK AT THE PHOTOS! UNLIKE A LOT OF THE SURROUNDING RIVER LOTS, THIS ONE IS LEVEL AND HAS CLEAR ACCESS TO THE WATER WHERE YOU . . .
READY TO BUILD YOUR DREAM HOME? 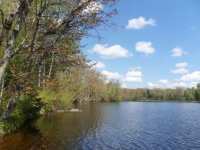 THIS BEAUTIFULLY WOODED 5+ ACRE LOT WITH 300 FEET OF FRONTAGE ON HOOK LAKE IS JUST THE PLACE! PEACEFUL AND PRIVATE SETTING BUT STILL . . . THIS LOT IS LARGE AND HAS EASY ACCESS VIA A BLACKTOP TOWN ROAD. IT POSSESSES SOME LARGE TREES AS WELL AS PLENTY OF OPEN SPACE FOR A 'PARKLIKE' SETTING. THE WISCONSIN . 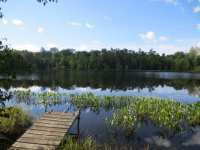 . .
LAKESIDE LIVING CAN BE YOURS ON SNOWDEN LAKE, A 135 ACRE CLEAR-WATER LAKE ABOUT 5 MILES EAST OF RHINELANDER. THIS LOT IS OVER 1 ACRE IN SIZE AND FEATURES 106' OF LEVEL . 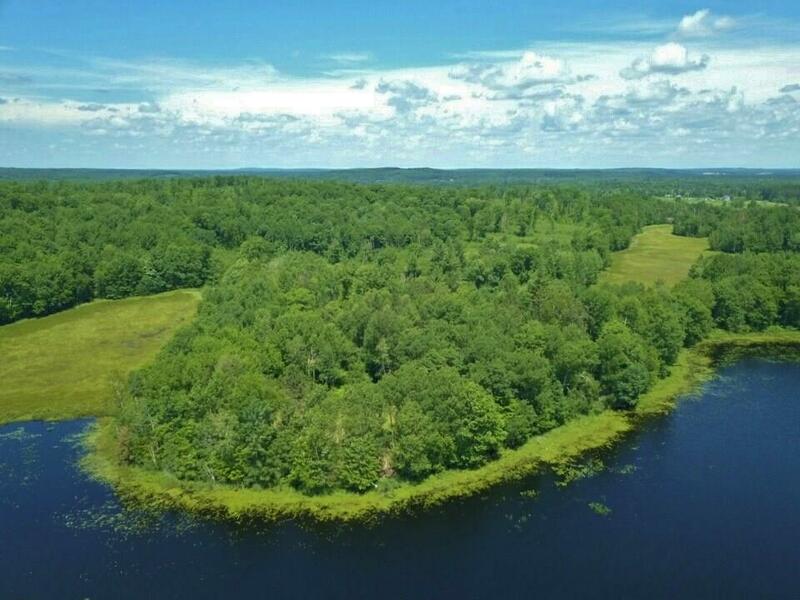 . .
CLOSE TO RHINELANDER, YET IN A QUIET LOCATION ON A DEADEND ROAD, MAKING IT IDEAL FOR A HOMESITE. THE LOT HAS A MIXTURE OF TREES, OPEN SPACES AND HAS A GENTLE SLOPE TO . . .
WILDWOOD LAKE BUILDABLE LOT. IF YOU'RE LOOKING TO BUILD ON WATER AND STAY WITHIN YOUR BUDGET THIS . . . 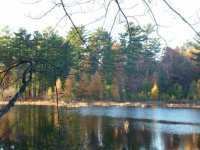 THE BEAUTIFUL WOODED LOT IS LOCATED JUST A FEW MINUTES FROM RHINELANDER ON MIRROR LAKE. MIRROR LAKE . . .
HAVING A HARD TIME FINDING THE RIGHT HOME? HERE'S AN AWESOME SPOT TO BUILD. NOT FAR FROM TOMAHAWK, . . . 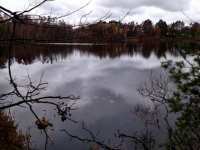 THIS MIRROR LAKE VACANTLOT WITH 195 FEET OF FRONTAGE IS LOCATED JUST A FEW MINUTES WEST OF . . . LOCATED ONLY MINUTES FROM THE HIGHWAY 51/HIGHWAY 8 INTERSECTION MAKES FOR EASY ACCESS. 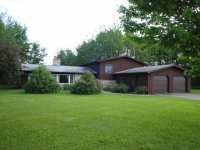 THIS PROPERTY HAS 200' OF FRONTAGE NESTLED ON SERENE NOSE LAKE IN WOODBORO. THE . . . 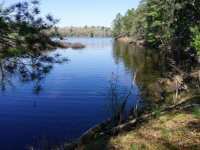 LOOKING FOR A QUIET, OFF THE BEATEN PATH, LAKE PARCEL TO BUILD YOUR DREAM HOME OR CABIN? 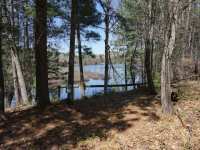 DON'T MISS THIS, WELL WOODED, 1.01 ACRE LOT ON MAUD LAKE, WHICH OFFERS AN . . . ENJOY WESTERN-FACING SUNSET VIEWS OVER A SMALL, QUIET LAKE WITH AN OFF-WATER PRICE TAG! A NICE MIX . 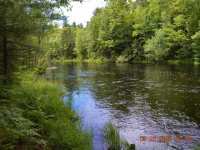 . .
A GREAT BUILDING SITE WITH MEANDERING CRESCENT CREEK IN YOUR BACKYARD. 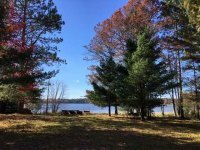 THIS UNIQUE 2.1 ACRES LOCATED IN THE HEART OF SPRING FED LAKES PLUS JUST MINUTES FROM RHINELANDER. . . . AFFORDABLE RIVERFRONT LOT!!! 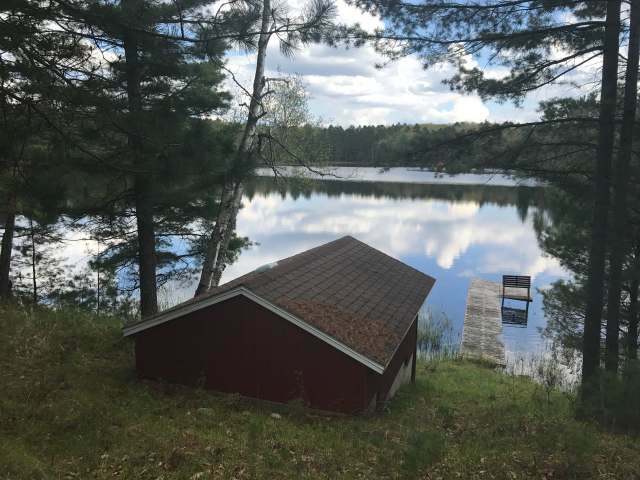 IF YOU'VE ALWAYS WANTED YOUR OWN LITTLE SLICE OF THE NORTHWOODS FOR YOUR FUTURE CABIN OR YEAR-ROUND HOME WITH WATER FRONTAGE AT AN . . .
WHAT'S DIFFERENT ABOUT THESE LOTS COMPARED TO THE OTHER LOTS IN THIS SUBDIVISION?? 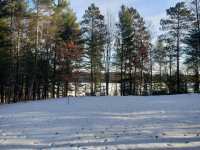 THIS LOT IS ON CRESCENT CREEK DRIVE AND THE LAND IS CONDUCIVE FOR A WALKOUT BASEMENT. . . .
WHAT'S DIFFERENT ABOUT THESE LOTS COMPARED TO THE OTHER LOTS IN THIS SUBDIVISION?? 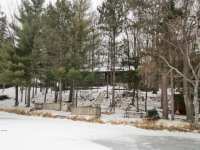 THIS LOT IS ON CRESCENT CREEK AND THE LAND IS CONDUCIVE FOR A WALKOUT BASEMENT. THE . 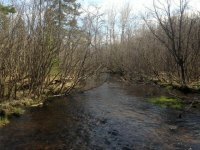 . .
3.4 WOODED ACRES LOCATED EAST OF RHINELANDER ON THE FLOWING GUDEGAST CREEK. 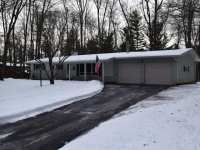 THE PRIVACY AND PEACEFULNESS OF THE AREA IS SOMETHING THAT YOU DON'T EXPECT FOR ONLY $15,000. . . . 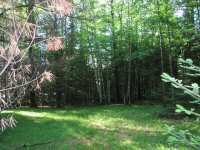 WOODED LOT ON THE CLEAR AND COOL CRESCENT CREEK READY FOR YOUR IDEAS TO BUILD! POSSIBLE WALK OUT, AND WILD BACKDROP. UTILITIES AT THE CORNER OF THE LOT, LOT 20 CRESCENT . . . 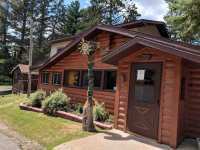 In the heart of the Wisconsin North Woods, tucked between beautiful lakes such as Bass Lake, Crescent Lake, Boom Lake, Moen Lake and George Lake, one will encounter the charming, welcoming community of Rhinelander, Wisconsin. 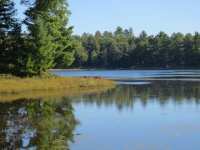 Two and a half hours northwest of Green Bay, Rhinelander is a beautiful community in the heart of the Wisconsin North Woods. 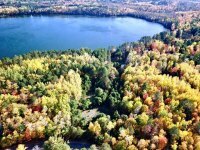 Scenic, welcoming and downright charming, Rhinelander is an ideal spot to take a vacation from the ordinary. Rhinelander is the county seat of Oneida County. With a population between 7,000 and 8,000, Rhinelander is large enough to offer entertainment, dining and shopping venues, but not so large that it will overwhelm visitors with its size or population. 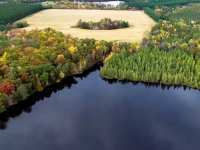 While the population tends to grow in the summer with the influx of seasonal visitors, Rhinelander is truly a four-season vacation destination, perfect for a family getaway unlike anything you have ever before experienced. Many who visit Rhinelander, Wisconsin find themselves longing to return year after year to this extraordinary region. 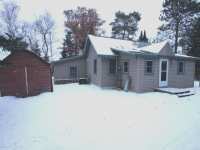 Some are even fortunate enough to find the perfect real estate investment opportunity here in the North Woods. Rhinelander is a great spot to raise your family. It's also a great place to retire for those looking for beautiful, cost-effective locations in the Midwest. While some choose to reside here on a year-round basis, others find that it is useful to use their vacation property as a rental during time periods they are unable to use it themselves. This helps the property generate a little income for those who utilize it as a second, vacation residence. Real estate here ranges from rustic vacation cabins to luxury condominiums, perfect for retirees looking for low-maintenance, reasonable cost of living options. We all know that the housing market took a hit the past few years, but it is rebounding. Investing in commercial property, apartment complexes or campgrounds can be a great way to generate income and build a sizeable nest egg for yourself and your family. Known affectionately as the Heart of Hodag Country, Rhinelander certainly possesses its fair share of folklore. What is a hodag, you ask? A hodag is defined as a "mysterious woodland creature that makes its home in the Rhinelander area." Legend has it that the first person to see a hodag was Eugene Shepard, a timber cruiser, real estate investor and local character, who in 1893, reported seeing an extremely large, green lizard-like creature covered with white horns and large fangs. Mr. Shepard even went so far as to engineer a hodag like creature to display at county fairs and other events. Although the hodag was eventually proven to be an elaborate hoax designed to attract visitors to the Rhinelander area, hodag folklore continues to be an integral part of the legend here in Rhinelander. Many locals continue to attribute the loss of golf balls and the loss of record size fish to the work of this mysterious creature of legend. In and around the Rhinelander area, folks can observe statues or even purchase stuffed toys depicting this mythical creature. An integral part of the legend of Rhinelander, hodag watching is a great way to keep your kids occupied in the forests and on the lakes of the Rhinelander area! Rhinelander is also referred to as the 'Capital of the Heart O' the Lakes.' 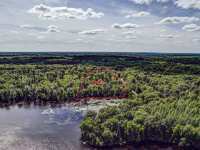 Rhinelander was originally referred to as Pelican Rapids by the early European settlers that immigrated to the area. Around 1870, men by the names of Anderson Brown and Anson Vaughn travelled north on the Wisconsin River in search of timber. 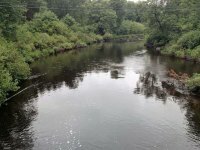 When they came upon the convergence of the Wisconsin and Pelican Rivers, they quickly realized they had discovered an excellent spot for a mill town. Ultimately, the land was obtained from the federal government and the town of Rhinelander was established, named after Frederic W. Rhineland, the president of the Milwaukee, Lake Shore and Western Railroad. This was likely an attempt to encourage the railroad to establish a line to the new town, something that was eventually achieved in the early 1880's. Explore the area on horseback from the Holiday Farms. 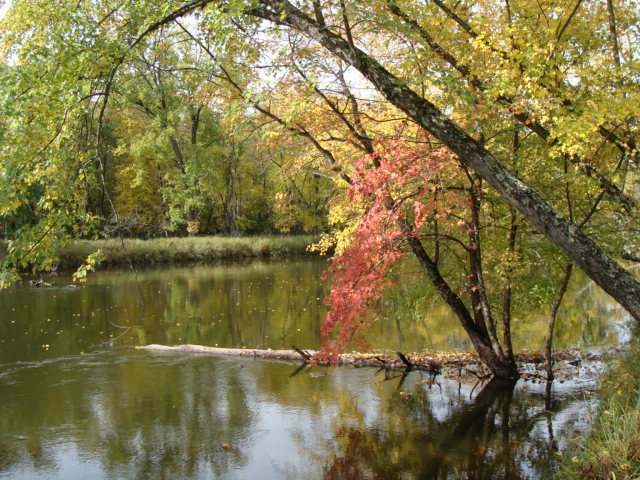 Hope on the Wilderness Queen and take a boat ride down the scenic Wisconsin River. Take your kids to the Kovac Planetarium or the Northwoods Children's Museum. Stroll through an authentic 1870's logging camp at the Pioneer Park Historical Complex. Check out the Oneida County Fair in the summer. Browse the local produce and products at the Farmer's Markets held throughout the warmer months of summer and autumn. Or, simply plan a day to enjoy the beauty of the wilderness around you. 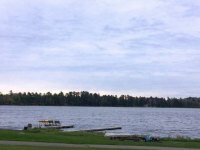 Rhinelander is truly a spot to get away from it all. Immerse yourself in nature without sacrificing easy access to family amusements and events. 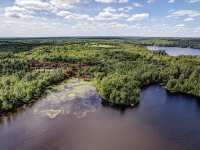 Take a look at the extraordinary region of Rhinelander, Wisconsin when planning your next getaway vacation!